What's really amazing to witness is the great cabal lie unraveling at every turn, and the gentle panic of the world as it is forced into dealing with reality versus fantasy (aka change). It's not whether or not the FED is or isn't raising rates, it's whether the FED is or isn't. It's not where these category 5 hurricanes will hit, it's that there were 6 hurricanes in a row and now they have suddenly stopped. It's not if a revaluation of currencies is going to go down, it's what project management do you have prepared after it does. Everything appears backwards because everything was designed to be that way to keep humanity in their lowest chakras to enslave them. We have ALL been slaves to a master we couldn't see or identify--hence the basic need for a cabal. Sorry I was the one who told you, blame old Yosef for the cabal's evil ways, but I cared enough to tell you all and keep telling you until I had your full attention. Why? Don't know. I really don't. I'm just as surprised to be in this situation as you are to be in yours, yet here we are together. So let's make the most of it. I knew the RV was real in 2006. Real real. From Asia. Recruited historical bonds to make sure I was ready for my family and community. As such I developed perpetual compliance strategies to manage endless amounts of capital and then recruited talented human resources to assist. I've been harvesting projects for funding since 2008 and created a global compliance mechanism before the ZIM was even printed. I knew gasoline engines were going away in 1996. And that muscle cars were becoming flying cars since 2001. Are you prepared to travel not without driving, but without roads? That's the ZIM exchange in a nutshell. A life lived in a gravity-less environment and without roads. Are you emotionally prepared for that? Do you have those Post RV ducks in a row? If you wanted to help kids all over the world could you do so right now? Do you have a plan that you can communicate with others in decision making positions? Because if so, wonderful please us at HAS. If not, let us help you because we know you already have the resources. Literally in cash. So how will we as a slaves-no-more community start connecting problems with solutions efficiently and perpetually? If you don't have a definitive answer because you've been "waiting for money" to get started, well those poor kids in India don't much care. They are still suffering and you're beyond rich. 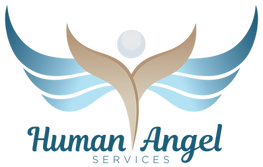 Human Angel Services (HAS) is an option as your project portal so everyone reading this can get started and maximize their inner but untapped philanthropist. It doesn't make the problems any smaller or less harsh, but it does provide a bridge for solutions to find and solve the problems facing humanity. Because the question is not wether or not you should subscribe, the question is why did you believe the RV wouldn't happen today and not be more prepared? So turn your ego surf boards around and catch this wave of mercy with us. As HAS is the only organization in existence that understands both where you have been and where you want to go. Our first day up and running with the Human Angel Services (HAS) subscriptions and the results were overwhelming. Showme and I, plus the whole team working in the background to get everyone these digital resources thank you all profusely. We're trying to get to all your emails requests answered for more information, so please be patient with us. We're not yet full staffed up but will be in October at this rate. And please keep sending in your projects. We need projects big and small. Domestic and International. We promise to log everyone's project into our database over the 4th quarter, grade each one on readiness and viability and begin the process of working through them one by one to begin the funding compliance process. Early subscribers will get project precedent for believing in us. This whole RV thing is a complete blind walk of faith--by grand design I'm sure--but invisible nonetheless. We've gotten many emails worried that because you lack funds to subscribe now that you will miss out. Nonsense! This is a no worries Human Angel zone. We'll figure something out. Just by sending HAS your email allows you subscribe later whenever you are ready. Easy peasy. Someone will come through for the poor among us--too many Human Angels not too. In the meantime, we are providing you with a free daily philanthropic magazine to sharpen your mind while we babysit the RV together. Honestly, the subscription fees are there just to cover the costs of operating a long-term, high end website. Besides nobody values anything if it's given away for free. This is why all subscriptions were kept below $10 monthly. As we wanted mass participation not elitist exclusion. In a funny way it's kinda like a backwards kick starter campaign, where we actually start with all the money yet must wait on the USD to completely collapse so the USNs can take root allowing HAS to begin. The irony of that is simply mind boggling. But it's the times in which we live. He latest news as of 3am EDT tonight is that final release instructions went out to the banks at 12:30am EDT. There was an 8 day protocol starting on Monday yesterday. And that by Tuesday or Wednesday of this week would be our "go time." We shall see. Personally, I believe we will see something tangible at the absolute last second which I understand to be Saturday midnight on September 29, 2017. ZIM just went over $4.00 USN while I was texting this SITREP (I do them on my phone if you can believe that, and maybe why my spelling is so bad... maybe not:). Imagine turning in just one 100T ZIM note and getting 400T USN back with a straight face? Is that even a real thing? You bet it is. It's just the times in which we live as Human Angels. But then what? You leave the exchange facility and you have more resources than you can mathematically comprehend, and what's your next move? Shock is what. Regret for some they bought so much ZIM. Fear maybe. Elation for a few perhaps. But most will be in shock. I will be in shock. And as a currency holder IAM pretty well prepared. But even for old Yo-Yo it'll be hard to swallow that new really happening to me, to us, to humanity and the earth. And why Showme and I began working morning, noon and night to get you all thid website these last two months; as we both knew this community would be in complete and utter shock Post-RV and would need a place to communicate what was going on in their lives to other people who actually understood what it felt like to become a Quadtrillion overnight... a hundred times over mind you. Can't do that with your current Facebook friends, can you? No one at Tim Hortons will listen to your nonsensical ramblings. Oh, and good luck at holiday dinners when everyone's talking about where to score the cheapest gas and bitching about fresh produce prices. Meanwhile you're looking at buying a brand new private jet on your gold plated iPhone X. It's just the times in which we live. Odd but ours. HAS is ours too. It's for everyone who went from nothing to everything in the blink of an eye and must now live the rest of our lives in this new infinite wealth reality when the world still plagued by poverty, scarcity and limitation consciousness. More than the project funding, project compliance, philanthropic magazines and archives... HAS will become a safe place where you never have to explain how you obtained your wealth or what you just went through by marginalizing your story in some dumbed down conversation not to upset old friends and jealous relatives. For Yosef, the Human Angel Services website is something I can point to and say "that's what I'm doing now," and just let the website speak for itself versus me talking in rambling metaphoric circles about era transitions and "Top Down Philanthropy.". I'm tired of hearing my own voice talk about the RV folks. I need someone else to speak up righteously, add valuable content, create ideas, basically lead. I'm happy to take a permanent supporting role in service of all of you. In fact, not only am I excited about laying low, I got to witness everyone stepping up today as the subscriptions came pouring in. Froze Showme's computer up several times there were so many pay pals coming in at once. We promise to do the community right and stick with HAS long term, RV or no RV. Besides, our 80 year old moms need a digital place to global project fund. Strange times we live in indeed. Sobeit.